Get your print products in our shop now, at attractive online prices! Discover our wide variety of products now! This is how brochures are printed today! Stay on the safe side with our reliable bindings! Discover our whole range of brochure products! 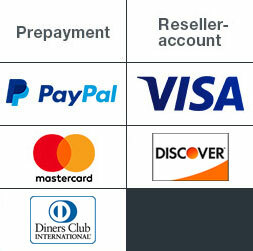 PrintCarrier.com – the Economic Online Printers. "High-quality, fast, affordable and flawless!" "Our customers show their trust in us by ordering online – which we reward with 100% quality. That´s our promise!" Top Quality and Brilliant Colours – Made in Germany. You’re a creative professional, a businessperson or an ordinary citizen, and you’re looking for a good online print shop that’s easy to navigate, permits secure data uploads, offers customizable templates and a limitless range of products. It also delivers products with crisply printed pictures and brilliant colours, and backs it up with friendly customer service and overnight delivery. Have we got it right? We offer all this in premium quality made in Germany. Why choose premium quality made in Germany? Simple: because we do all of our printing in Germany. On web offset, digital, sheetfed offset and large-format printing (LFP) presses built by leading German manufacturers. With stocks and inks from long-established, reputable German firms with over a century of experience. And supported by partners who share our commitment to premium quality. Thanks to our focus on suppliers and services in Germany, we can guarantee print products that reflect our typically German dedication to quality and dependability: on time, to the letter and first-class from start to finish. 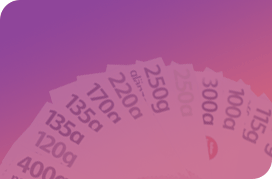 We print economically – not cheaply! – and always fast without charging you for shipping, which is factored into our production overhead. This is true no matter which of our products you choose. 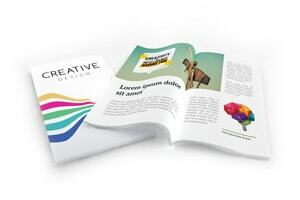 If you want to print flyers, you can choose from folded, die cut and standard versions. 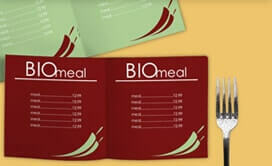 We produce all of them in four colours using a digital or offset process. 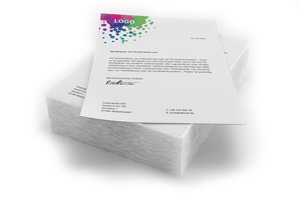 Naturally on high-grade paper in standardised DIN or bespoke sizes. 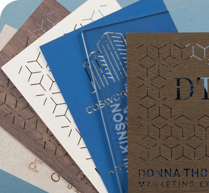 Whether you need corporate image flyers, invitations, event announcements or trade fair programmes (and these are just a few examples): you can count on us to print them quickly and affordably! Need to order fresh menus for your restaurant, print leaflets for your shop or get sturdy tent cards for your seminar room? We’ll gladly handle it for you. We make the full range of folded products – with a letter fold, concertina fold, single fold etc. as you wish – while unfolding all of our considerable skill. Find out more now! 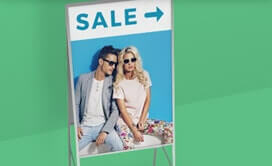 It’s time for your next outdoor advertising campaign. But you don’t know yet whether this time you want to go for corrugated plastic posters, billboards, light boxes or digitally printed posters. 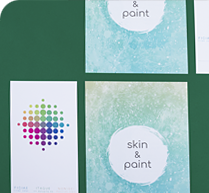 Whatever your decision, we’ll print posters for you – in any format or colours, even overnight. Just make a selection here in our shop! 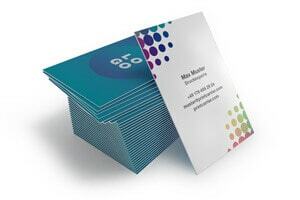 A trade fair is coming up and you urgently need to print business cards. 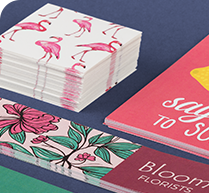 You’ll be pleased to learn about our attractive offers for printing everything from folded to bundled cards within one day on your choice of lovely paper. 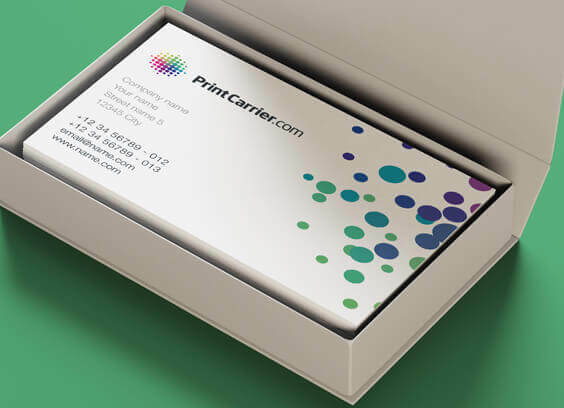 We’re the affordable online print shop for first-class business cards! When you move to new offices, it’s usually a good idea to print stationery to replace the old ones – if nothing else, at least to get the address right again. And while you’re at it, go ahead and order compliment slips for inviting your customers to the inauguration event. You’ve come to the right place: we offer a huge selection of relevant products! Do you love your books and want to mark them with personalised stickers. You’ll find what you’re looking for here: in plastic or adhesive-backed paper in different shapes and sizes, as rectangular stickers or self-adhesive postcards or with customised die cut shapes or cutouts. We’ll print stickers to match your specifications and full of your own ideas, colours and shapes! 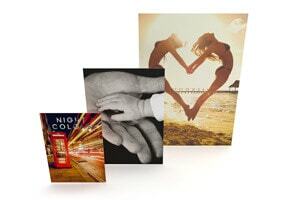 Don’t go postal – you can rely on us print postcards or greeting cards. On one or both sides in full colour. For folding or sticking. In A-sizes or round formats. 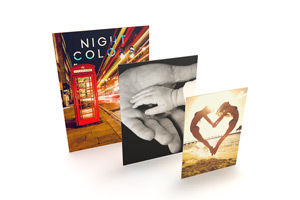 When it comes to cards, our range is second to none! 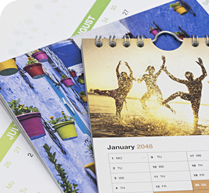 Print calendars to give to your customers: there’s no better way to remind them of you, day after day. Single-sided wall calendars, year planners, picture calendars, pocket calendars, slim calendars, double-page calendars: the choice is yours! 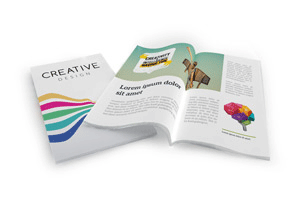 Club magazines, annual reports, corporate image brochures, price lists, doctoral dissertations – we print brochures with variable content and page counts. Stapled or perfect bound, or with spiral or wiro binding — anything goes. Naturally always on the spine, and always swiftly produced and delivered at bargain prices. The choice is yours! As experienced online printers, we also know how to print newspapers in large volumes without exceeding your budget. 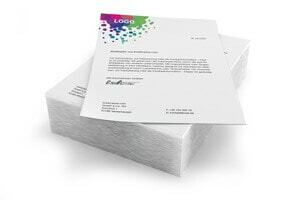 And in case you also need to print inserts for them, we’re happy to advise you on paper stocks and formats – to make sure that parts which go together, fit together. 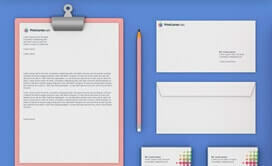 Printing on office supplies – this includes everything you use in the office on a daily basis, such as sticky note pads, lever arch files, desk pads, carbonless forms, rubber stamps, envelopes, presentation folders, notepads and self-adhesive pockets. Check out our almost limitless range! 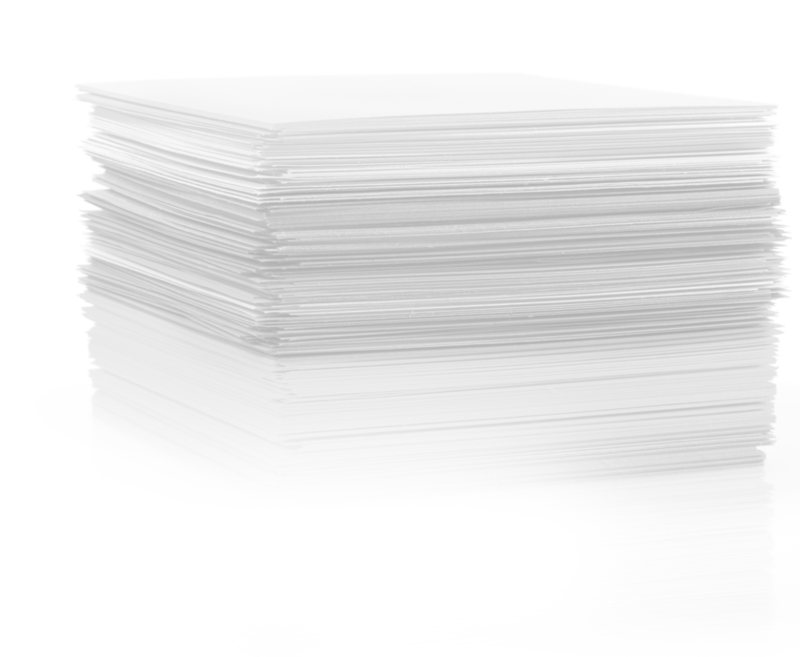 We – your economic online printers – also print articles for restaurants: the whole spectrum of items needed in food & beverage outlets, hotels, pubs etc., on paper or board, for laying down flat or standing up, folded or not, with or without foil lamination, just as you please. Your flags are gone with the wind, your trade fair stand needs a facelift or your firm’s signs are fading away … but don’t fret! We’ll print advertising systems for you on any of a wide variety of materials using inks that stand up to the wind and weather. Try us! Why not surprise your customers with a little gift? It might be a ballpoint pen, a personalised magnet or a bookmark – you decide. 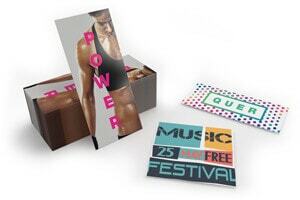 We’ll print advertising material with your slogan or logo using an LFP process, pad printing, digital or offset. It depends on the material and the number of articles with which you intend to impress your customers. 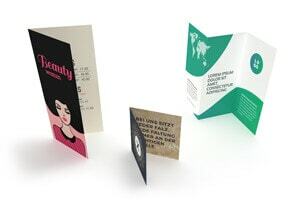 From booklets for your data CD-ROM to the covers for your DVD – we’ll print multimedia articles with your logo, texts and images in stunning quality. 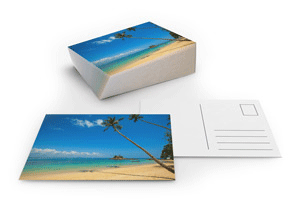 Simply order your personal multimedia print package here in our shop. Save time and money by taking advantage of our services. 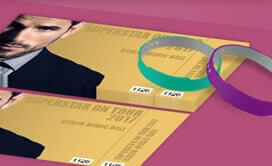 They include file repair and supplying stamp pad ink and crimping pliers for event wristbands. We back up the premium quality of all of our products with a money-back guarantee. For you as our customer, this means: If you aren’t satisfied with the products we supply on your first order, we will refund the full price paid. On subsequent orders, we will suggest a solution that is guaranteed to satisfy you. The best way to find out whether we keep all of our other promises (besides our money-back guarantee) is to have us do a job for you. Simply send us your artwork and see for yourself how well we transform your creative ideas into print. Here and now!